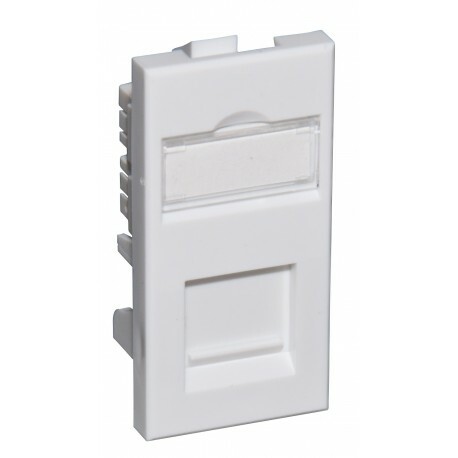 CCS Cat5e Compact Modules are designed to provide one of the shallowest wall outlets on the market. They are the ideal solution wherever back-box depth is a problem. The attractive high gloss finish and easy to use labelling system are identical to all other CCS Modules, making them interchangeable in most applications. Cat6e Compact Modules can be fitted into single or dual gang faceplates and can be combined with quarter blanks and/or voice modules to provide the required configuration.